Special commemorative edition – call for cover artists! The team behind In Memory: A Tribute to Sir Terry Pratchett are going to release a special commemorative edition of the anthology on March 12. We are looking for graphic artists who are willing to lend their talents to a new cover design, which will reflect the book’s content and purpose. It could include something on the theme of ‘memory’, or reflect the stories within the book—it’s up to you! Since all proceeds from this book are going to Alzheimer’s Research UK, we can’t offer any payment, other than good karma and the chance to be involved in something which celebrates the memory of a man who has affected so many of us. The cover must include the authors’ and editors’ names, the Alzheimer’s Research UK logo (there are several types and colour variations which could be used), and, of course, the title. As a general rule, the design should not include any likeness to Terry Pratchett or his characters. In other words, no copyright infringement is allowed. The front page aspect ratio is 6×9. Full cover specifications (bleed, spine width, etc.) will be provided to the winner. Please send your drafts to [email protected] by February 12. We will announce the winner no later than February 15. If you want to participate and would like to get a feel for the stories, we will happily send you a free eBook of the anthology. 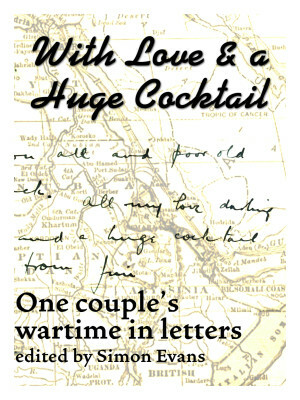 A selection of war-time correspondence which tells the story of a separated couple who loved each other dearly, and also gives a fascinating insight into British attitudes, society, politics and the wider world at this crucial time in history.